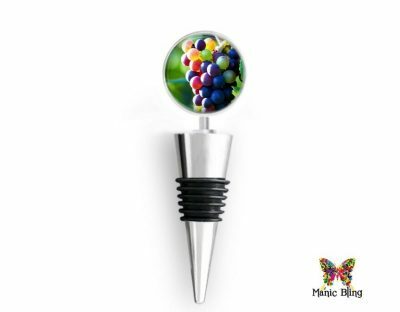 This wine stopper makes a wonderful gift that your friends can use for years to come. It makes a great gift for a wedding, bridal party, housewarming, birthday or just because! Glass photo cabochon is 30mm (approx. 1 1/8 inch). The photo top is waterproof, but washing in a dishwasher is not recommended. 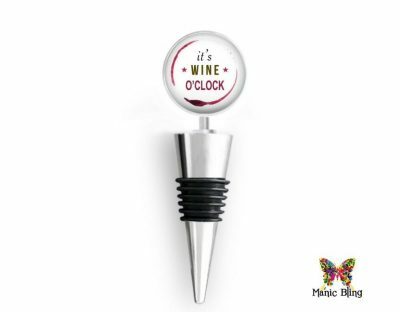 Please NOTE: Bottle stoppers are for short term use not to exceed one week at a time. 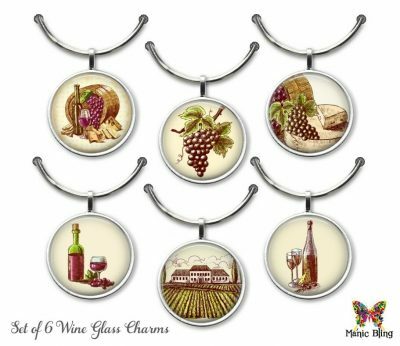 They are for display and serving not for long-term storage which can cause pitting and flaking of the plating due to acidic buildup in the wine from oxidation. This wine stopper is both water and wine proof, although I wouldn’t advise putting them in a dishwasher. Most of my glass photo domes are my own designs. I print them on a high-resolution professional color printer and use the best quality glass. The photo cabochons will be awesomely clear and bright. It makes a great gift for a wedding, bridal party, housewarming, birthday or just because! 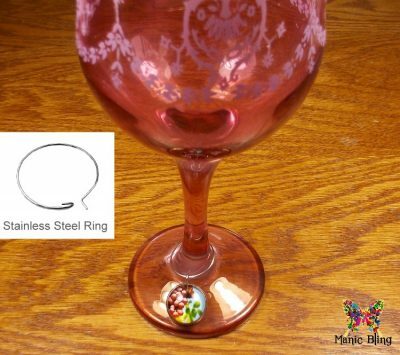 I can put almost any design you see on any item on this website on your wine stopper. Just send me a message through my contact form and let me know what design you want. Include a link to the item with the image you want and I’ll make it for no additional charge. Wine Bottle Stopper Fine Wine.